Are you moving and need a little help to ensure you don’t forget any important? With Quick & Easy Removals we understand that you have enough to remember during this time which is why we have formulated a moving checklist to help remove another stress. Obtain quotes removalists – don’t forget to request one from Quick & Easy Removals! De-clutter your home – Hire a skip if necessary and go through the whole house room by room. Contact your children’s new school and enrol them – You might condsider getting their uniform now. If you are renting you may as well to inform your landlord now of the date you intend to move. It’s best if you can to take a couple of days off work to reduce the stress of a weekend relocation. Contact all the utilities companies with the date of your move: gas, phone, water, internet and pay tv. Make a detailed list of all the tasks you will need to undertake on moving day. Pack a box of essentials, tea, coffee, drinks and snacks. Pack of box of cleaning equipment for use in your new home. Organise an overnight bag for each member of your family, pjs, toiletries and a change of clothes. Turn off your fridge and freezer so you can clean them before you move. Pack, pack and pack some more (again) – don’t forget to label the boxes. Provide the removalists with any special requests you have. Hand in your keys to the real estate agency. Keep your car keys, mobile phone and handbag somewhere safe. Pack essentials in your car such as overnight bags, snack box, cleaning equipment, pets, etc! 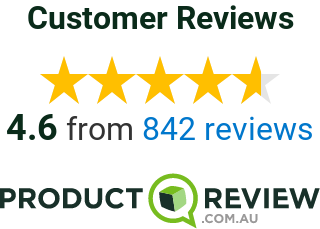 With Quick & Easy Removals Sydney assisting with you move you are guaranteed exceptional quality results, matched by unbeatable customer service. If you are interested in booking one of our trucks, please use our moving calculator to ascertain the cost of your move and available times.